One thing's for sure at Jim's: you NEVER go hungry. I'm a vegetarian, and last time I was there -- with a big group of people -- they brought out a huge vegetarian dish just for me to match each of the meat ones. It was quite epic: mushrooms, stuffed peppers, pilaf, breads, dips, dolmades, cheeses, loads of different salads and vegies - plus more I can't remember. I fell in love with Greek Food after a 4 week trip around the Greek Islands in 2005. 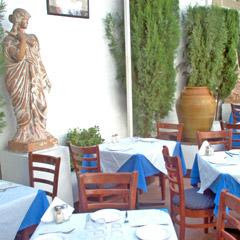 I haven't managed to find any decent Greek Restaurants on the Sunshine Coast where I live but am due to go to Melbourne in a few weeks and will definitely would like to give this place ago.